Achtung audiophiles! Want a taste of German engineering, performance, and build quality at a down-to-earth price? Then check out the offerings by Music Culture Technology, among which is the MC 601 solid-state preamplifier. The MC 601 is a truly lovely performer on all counts and a real looker in the audio rack. For the audiophile and music lover alike, it absolutely deserves your attention and audition. 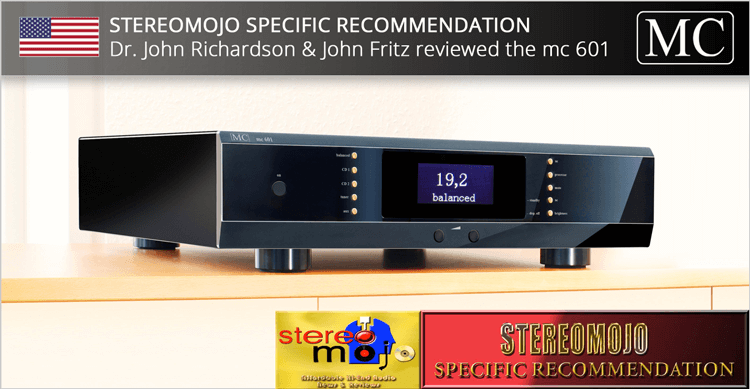 The 3rd year in a row The Absolute Sound awarded the mc 501A CD/USB Dual-Player, the mc 701 integrated amplifier and the RL21 loudspeaker with the 2014 Editor‘s Choice Award. MC – music culture technology received from The Absolute Sound the 2013 Editor’s Choice Award for the mc501A USB/CD Dual Player, the mc701 integrated Amplifier and the RL21 Loudspeaker. AV Showrooms reports about MC’s show room at 2013 T.H.E. Show in Las Vegas, USA, where we showed the mc 331 Loudspeaker together with our mc 501A, mc 601, mc 701 and the 811.a Monoblocks. AV Showroom’s Peter Breuninger reports about MC’s show room at RMAF 2011 in Denver, USA, where we showed the new 811.a monoblocks together with our award winning mc 601 and the mc 331 loudspeaker. MC – music culture technology is proud to receive the Golden Ear Award 2012 for the RL21 speakers, mc501 CD player and mc701 integrated amplifer! 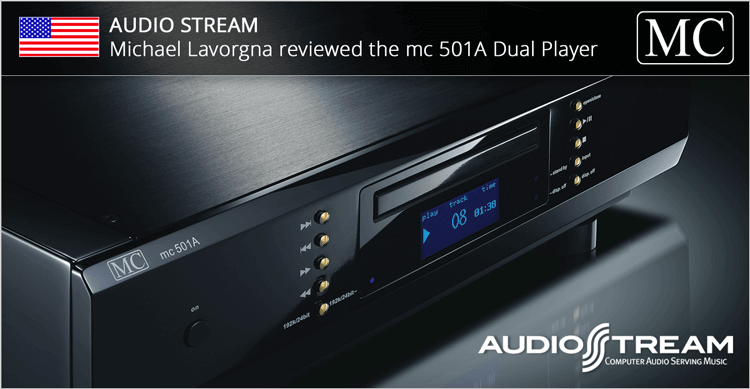 MC wins the Editor’s Choice Award 2012 for the loudspeaker RL21, the CD player mc501 and the integrated amplifier mc701.